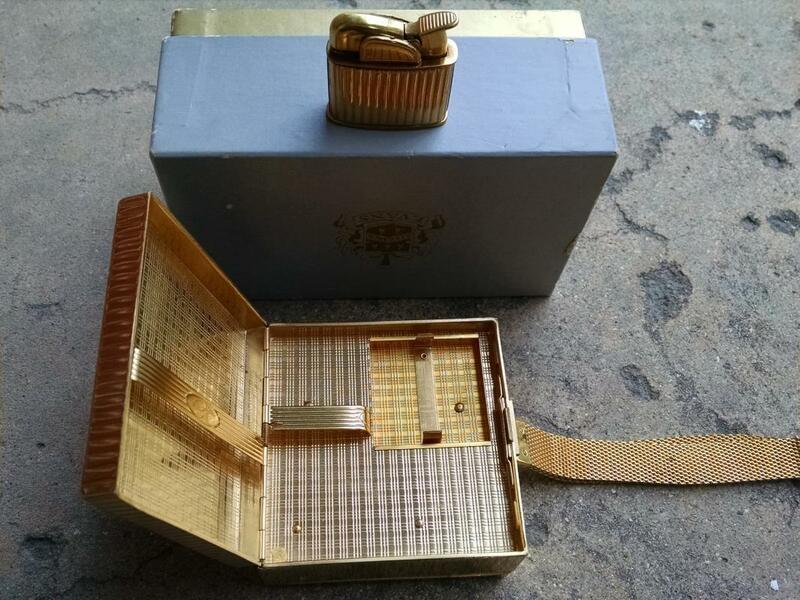 Very fancy ladies gold tone metal purse 1950's evening accessory. 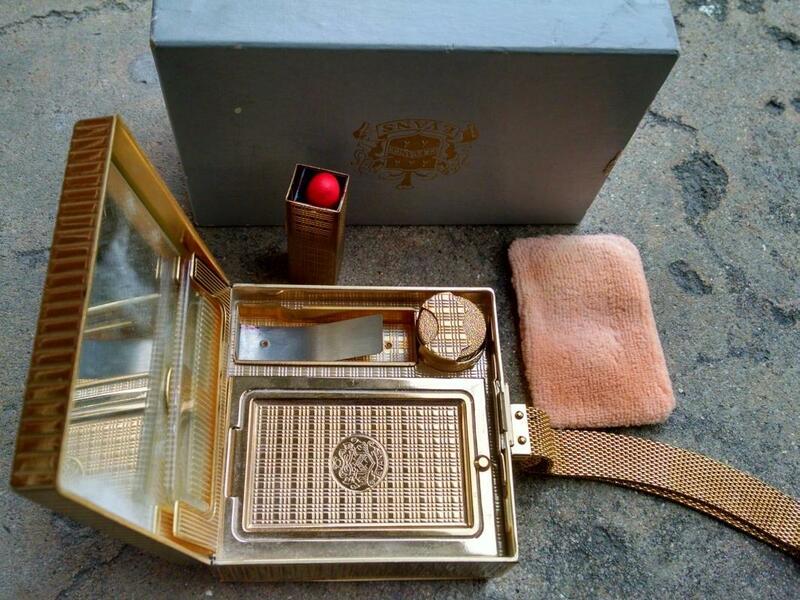 Gas lighter, cigarette case, hinged lid lipstick tube, powder puff comb compact mirror & coin storage slot. 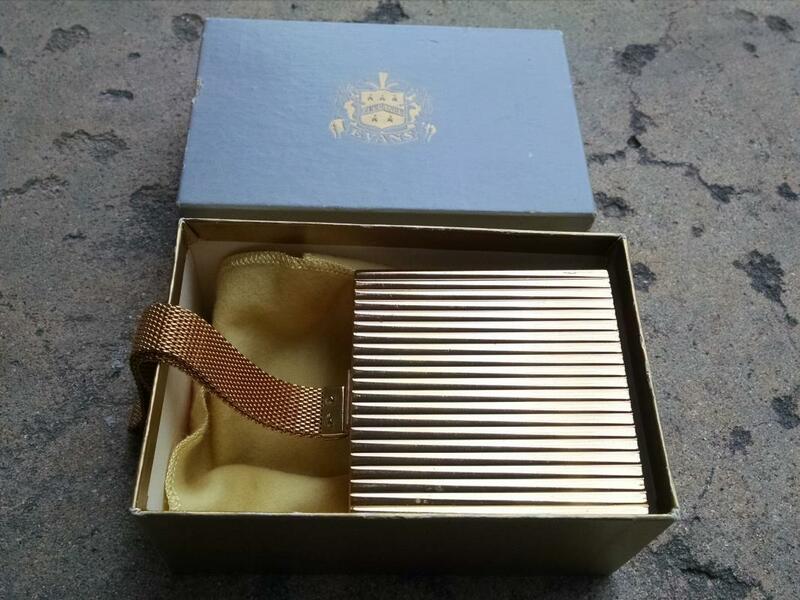 Original Evans Elegance cardboard gift box. 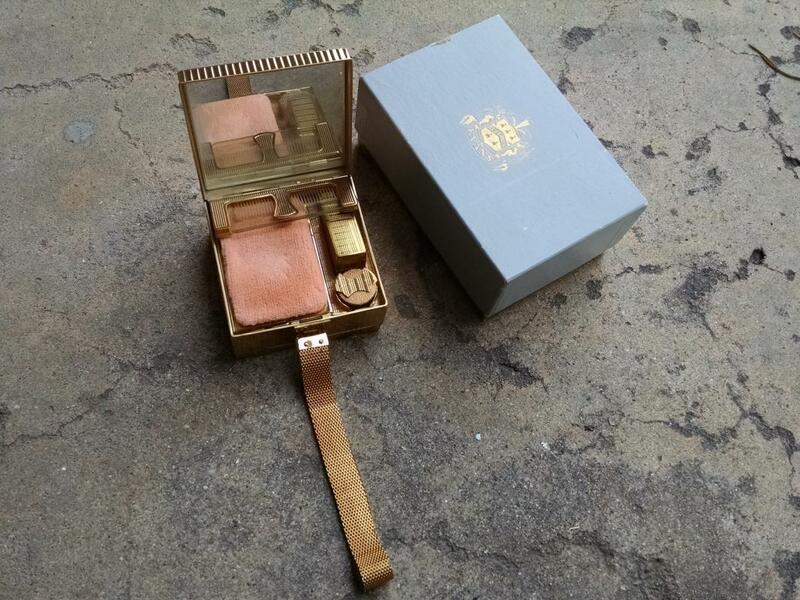 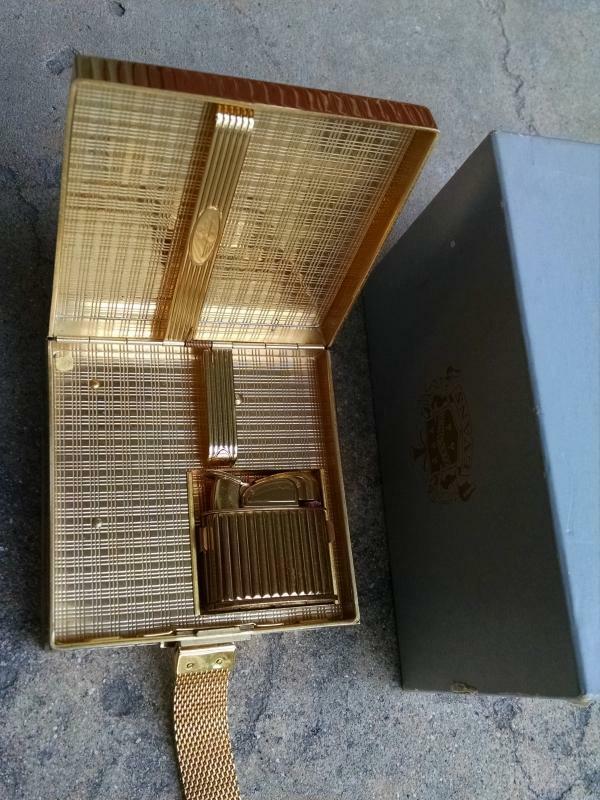 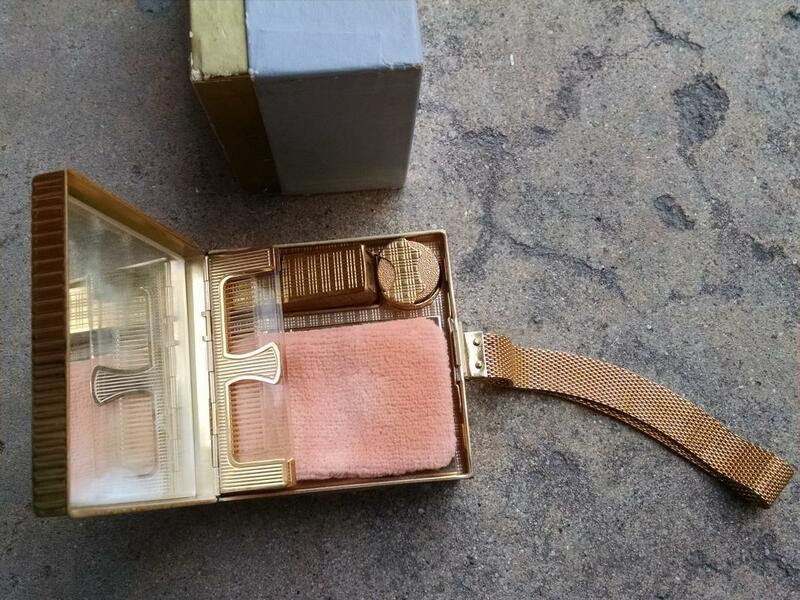 Items Similar To "Evans Elegance ladies purse makeup kit lipstick compact cigarette..."